This week features the return of our Dale – read all about it over the jump! Storming-mount: Paul with an impressive finish on a tough course. Mount Stewart: Looking good Mike! Saturday t’was a tale of two halves – part of the country was cautiously waiting for the rain to fall, while the others were facing damp conditions. Not that we’d let a little thing like the weather put us off – oh no (it just forms 90% of our daily chat)! Enough drivel from us for now (there’s more to come after it, believe me), why not take a look at the results? Natalie CONNOLLY 00:21:33 1st Place! 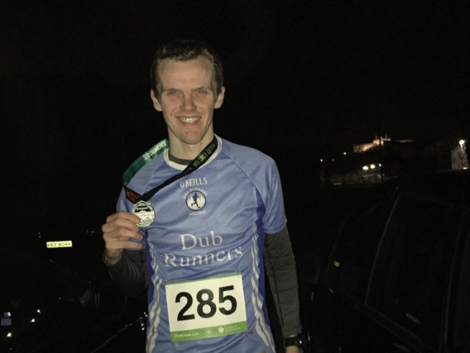 Rob WALKER 00:21:18 New PB! Liam LAVERY 00:23:08 New PB! Claire TONRY 00:20:30 1st Place! Sarah MAYBIN 00:24:00 1st Place! Newbie PB! Kathy MAYHEW 00:26:58 New PB! Jane PATTERSON 00:33:05 New PB! Brona SHAW 00:29:13 New PB! 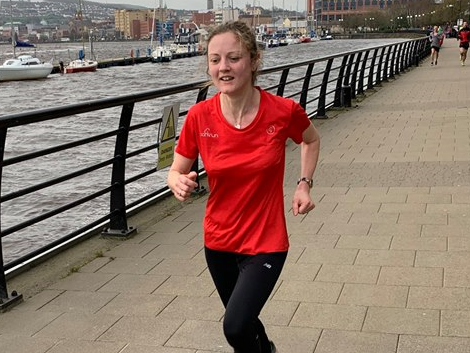 parklife: Natalie storms to first place along the Quay in Derry City. 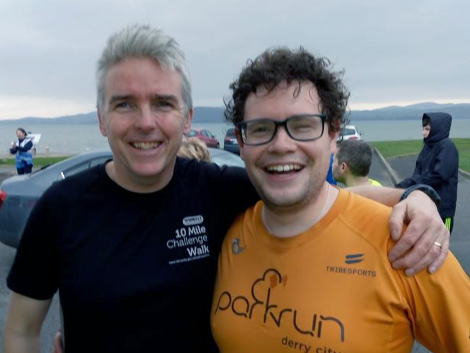 parklife: FotD Sean and Ronan O take to the coast in Donegal for Buncrana. 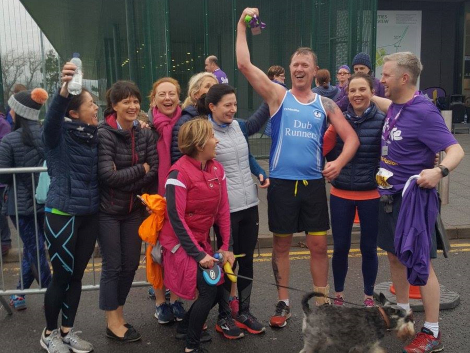 That’s looking more like the roundup we all know – with the number of road races slowly but surely increasing steadily, we’re going to see a whole load of Dub action in the coming months. Now is when all the off-season training is put to good use – so we look forward to welcoming you all to the club. Before we go, I must tell you that my life has a new porpoise: I managed to have a conversation with a dolphin over the weekend – we just clicked!